The entry form for the 2012 Magellan Awards is available for download. LATE FEE WAIVED FOR ALL ENTRIES IN 2012. ▪ Expanded Judges' Comments. Included in the Results Kit for every entry. 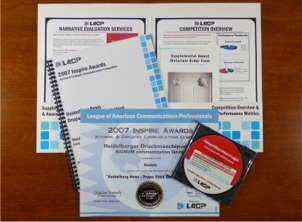 Find out exactly which impressions and observations were made by LACP's judging staff. Nothing distinguishes your work and brings recognition to you and your team more than honors from the 2012 Magellan Awards. 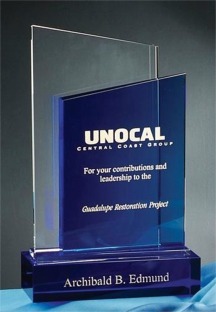 The 2012 Magellan Awards recognizes the outstanding communications campaigns of the past twelve months. From Citigroup to General Electric, Abbott to YRC, companies large and small compete against peers of similar size, staff, and means to earn recognition for their organization�s achievements. Here's your chance to earn due recognition for your hard work in communications. As one of the nation's premiere communications campaign competition, the 2012 Magellan Awards provides a platform for communications professionals to demonstrate the value they�re delivering to their organization. Judged across a broad range of criteria, awards are presented across five tiers: platinum, gold, silver, bronze, and honorable mention. Ratings are based upon an evaluation point system, which considers a number of factors measuring the effectiveness of communications materials. Whether you focus on communications for a corporation, non-profit organization, governmental, or educational entity, LACP�s 2012 Magellan Awards competition is a chance to have the high quality of your work validated by one of the most respected competition forums in the world. All entries must be received by 14 December 2012. So don�t delay; be sure to submit your entry today! � Top 50 Rankings. We name names, identifying the Top 50 entries across all categories. All entrants are automatically entered in contention for this esteemed award. � Recognition with the News Media. Top-performing honorees are highlighted in LACP�s 2012 Magellan Awards press announcement, sent via newswire to the top news outlets around the world. The deadline to submit entries for this year's competition is 14 December 2012. Winners will be announced and awards distributed on 7 January 2013. ∙ More than a Certificate. Sometimes, the only results seen from a competition is an award certificate or two thrown in a manila envelope. That's unacceptable in our minds--that's why we painstakingly build custom Winners' Kits that give you everything imaginable from a competition--statistics, percentiles, narrative commentary, press releases, artwork, and more. A typical kit is 20+ pages long.